Social media does do wonders. 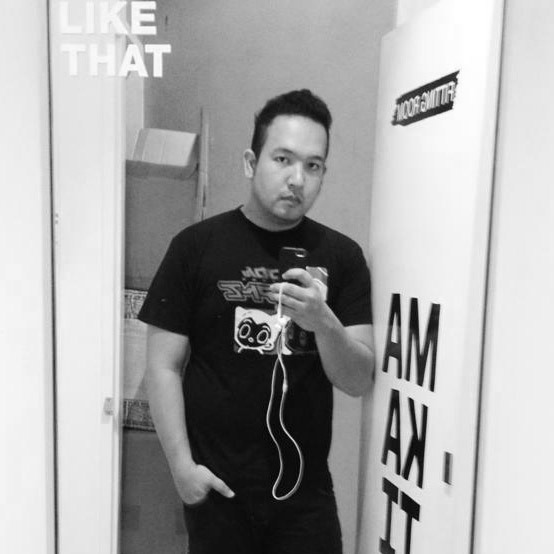 As I was reading through my timeline, I found out my friend and co blogger Azrael Coladilla was in Quezon City. He was in the Tomas Morato are in fact. I live nearby so when he wanted to have an impromptu food crawl in this area, I went in and showed them around. Kamuning is such a small town but I've got small joints here that I know would be of some interest to writers and bloggers. 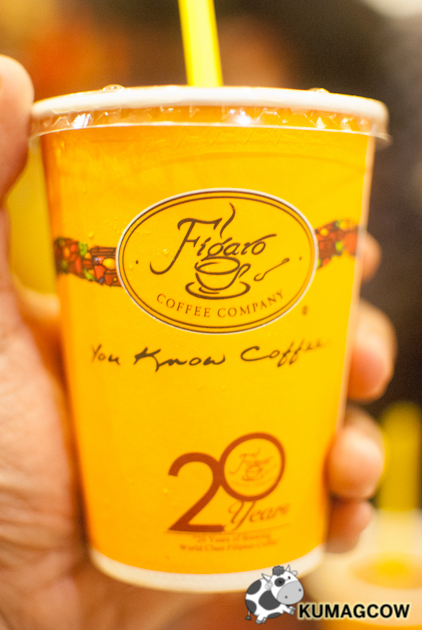 There's not much content, so we went to Figaro Tomas Morato to meet first. Unknown to many, Figaro is my office. I don't want to tell people about it that much because I'll lose the charm it has for me. The low foot traffic, the strong wifi and the available outlet on my favorite seat. I can charge stuff or stick my laptop if it runs out of battery. Other than that, the coffee choices are enormous and the food, you can choose rice meals, pastries or cakes and they all have it. You just have to make up your mind. Although I'm regretting you about this place in Tomas Morato, I guess if you're around the area you might as well pay a visit. After all, it's not like the other popular coffee chain on the other street that's so crowded and have pricey wifi. Let's start with the food shall we? We had refreshments first. Figaro's Iced Tea was first on the list. It's very tangy than the usual Iced Tea and pretty affordable. If you're not into coffees, then I suggest you have this. If you don't like iced teas and went here for coffee, take this other drink below. 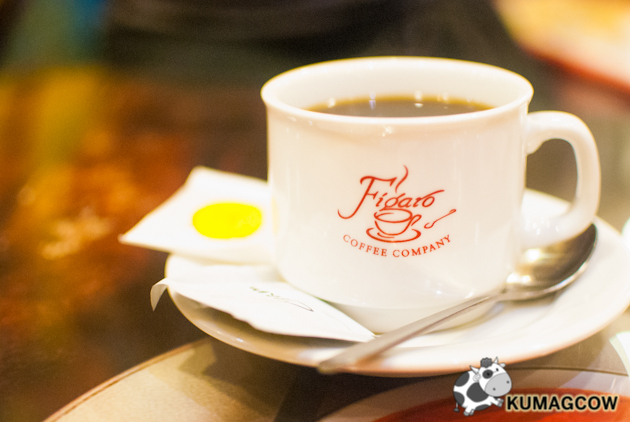 It's Figaro's Freshly Brewed Coffee. Of course it's one of their best sellers, they're a coffee shop for cryin out loud LOL. They serve this with the usual cream and sugar. We weren't there for this though, we had to have what they call the Favourite Meals. 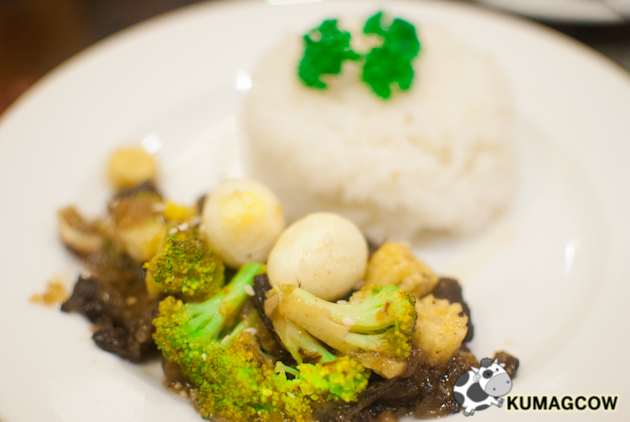 This is Figaro's Beef Broccoli Stir Fry. It was good, although I would have loved to only have green broccoli with it. This one came with broccoli that's a little old so the flowerettes were a little yellow in the photo above. As for the taste, it was okay, the beef, the young corn and quail eggs on this dish had kept us happy because it was soft and perfect with the white rice. It's not too salty so if you're just in a hurry coming from your office and wanted to have lunch, Figaro can make you these dishes in a few minutes. Then there's another choice! 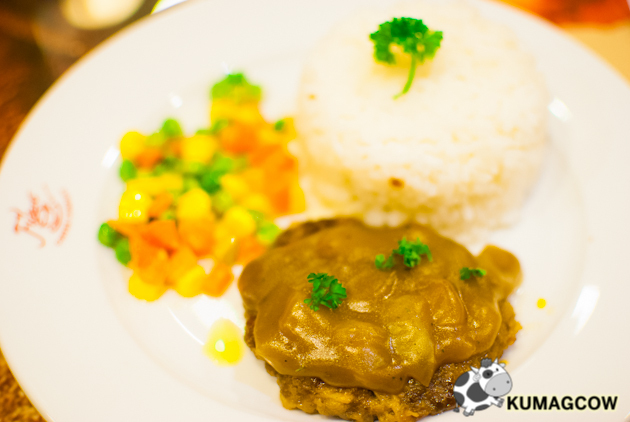 This one is Figaro's Salisbury Steak Burger. It's a burger patty smothered with Mushroom sauce on top. It's served with corn, carrots and peas on the side plus a cup of garlic rice. If you want something filling, this would be your best bet. 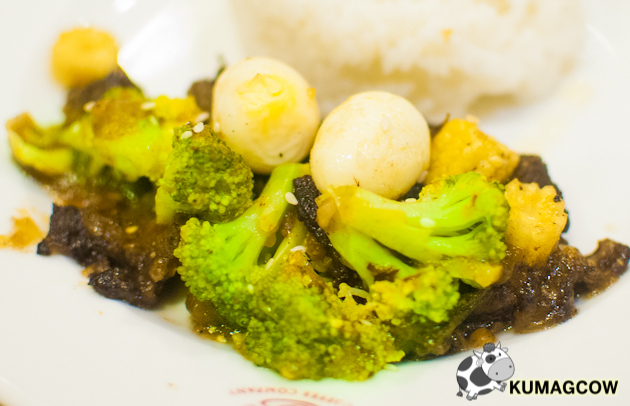 Although some may find the mushroom a little salty, make sure you don't individually eat it and only have it with rice. It was made for that purpose I guess. All of these meals will be served with a glass of iced tea so you can grab em and go. If you don't like lunch this way, they serve breakfast meals too! 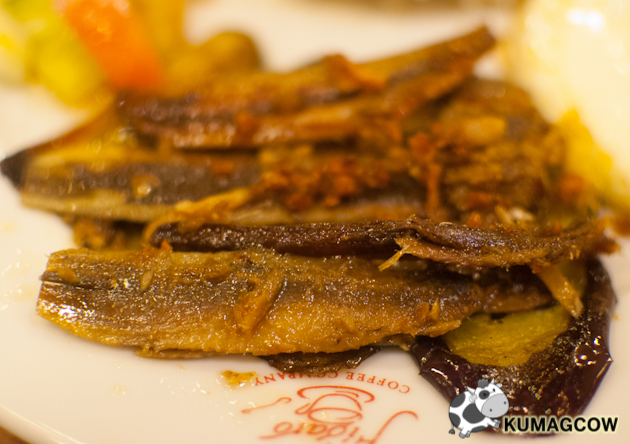 My personal favorite is this, Figaro's Gourmet Tuyo in Olive Oil. 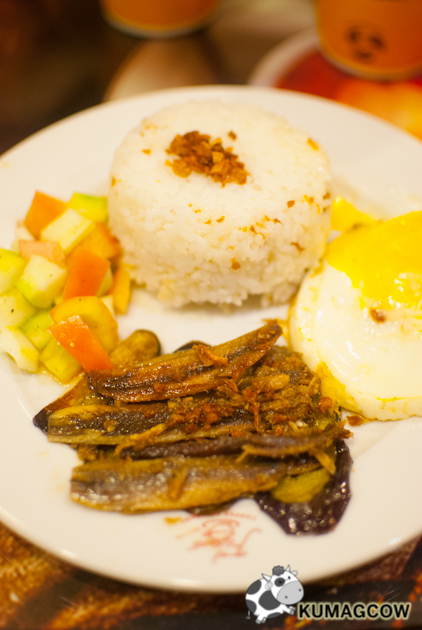 If some may find this salty, Tuyo is in the first place salted fish. It's soft and briny, mix it with the runny egg yolk and a spoonful of garlic fried rice, you'll have a great meal right there. You don't have to have this on a date, but if you're looking for something homey, something that would be comforting, this Gourmet Tuyo would be your choice. Trust me on this one because even those of my friends who were complaining it was salty suddenly found themselves finishing all the plate! It is good. For what it's worth, Figaro has some of the best sandwiches and pastas too. 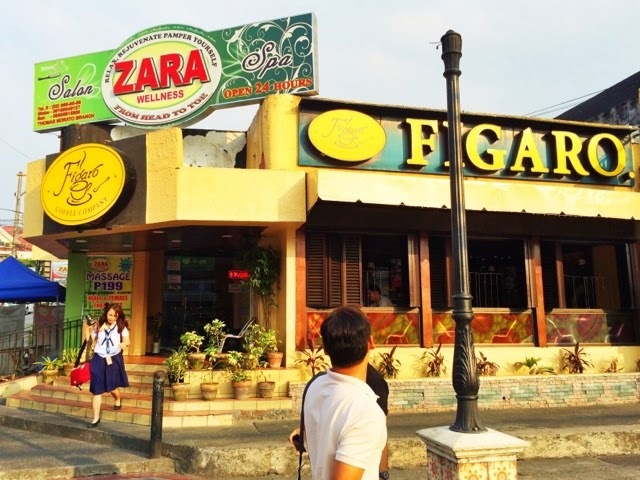 If you're looking for something new than the ordinary sandwiches and cakes the other more popular coffee shops offer, then make your next lunch or breakfast be at Figaro in Tomas Morato. If you're there to occupy my table in front of the counter, please do it some place else LOL, don't disturb me too while I'm working! Ha!